Derbyshire is a gated community located in Columbus, North Carolina. The property encompasses over 260 acres. With lake front homesites, mountain views, and enticing amenities, the community is the ideal setting for those seeking a beautiful and relaxing new home. It is conveniently located with easy access to shopping, dining, and an abundance of regional activities. It is only a 10 minute drive to I-26, and the closest airport is just 45 minutes away. 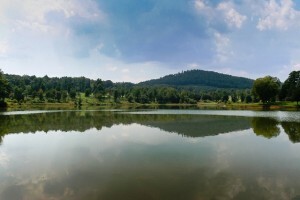 Derbyshire is centered around a spring fed, fully stocked 33 acre lake which is perfect for swimming, fishing or boating. There are also several miles of biking and hiking trails in addition to the miles of roads throughout the community. The planned community center will have a pier and a covered, lake front pavilion. Our community offers equestrian amenities. There is a community stable available for those who wish to board their horse. The Derbyshire trail system (four mile loop around the community) is also part of the Collinsville Equestrian Trail Association (CETA). The CETA Trail system connects to the Foothills Equestrian Trail Association (FETA), which together offer more than 165 miles of horse trails interconnected through the area. 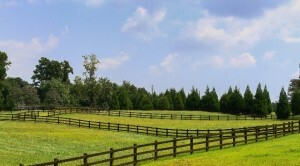 We are located only 5 minutes away from the new Tryon International Equestrian Center. To see an Area Map of Derbyshire’s location click here.